Jack welcomes shoppers to Weaver Street in Hillsborough and the new parking deck. 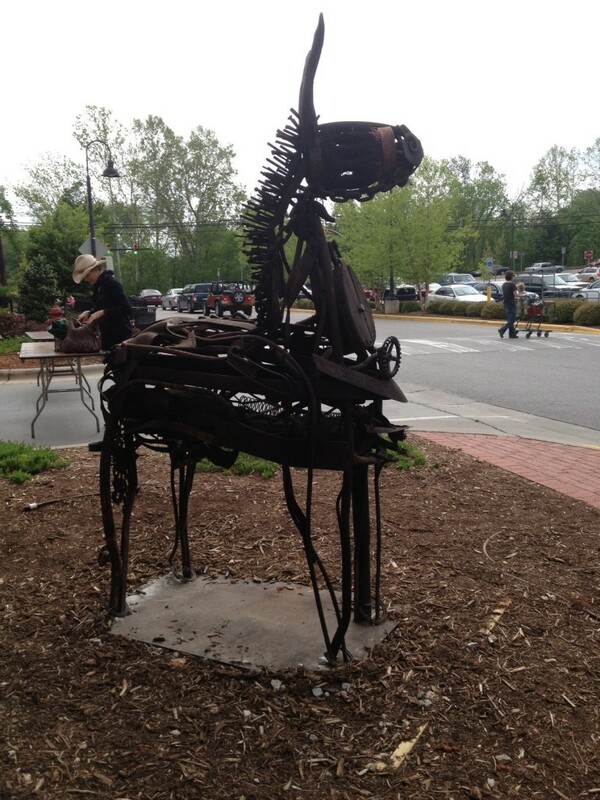 Sculptor Jonathan Bowling has created this charming whimiscal donkey from old farm machinery and demolition scrap metals. Study him carefully to see the intricate assemblage of old tools.